The average divorce in Florida costs $13,500 per family, and if you have children that cost jumps to $20,300. If you have that kind of money to spend on an attorney, then by all means go for it, but for most people that simply isn’t possible. So what do you do when you need a divorce, don’t qualify for Legal Aid (or just don’t want to get attorneys involved), and you don’t want to flush your money down the toilet with a $99 divorce scam or bogus online divorce paper software? You use Just DivorceTM, Florida’s only step-by-step D.I.Y divorce resource that shows you how to successfully navigate the divorce process yourself. 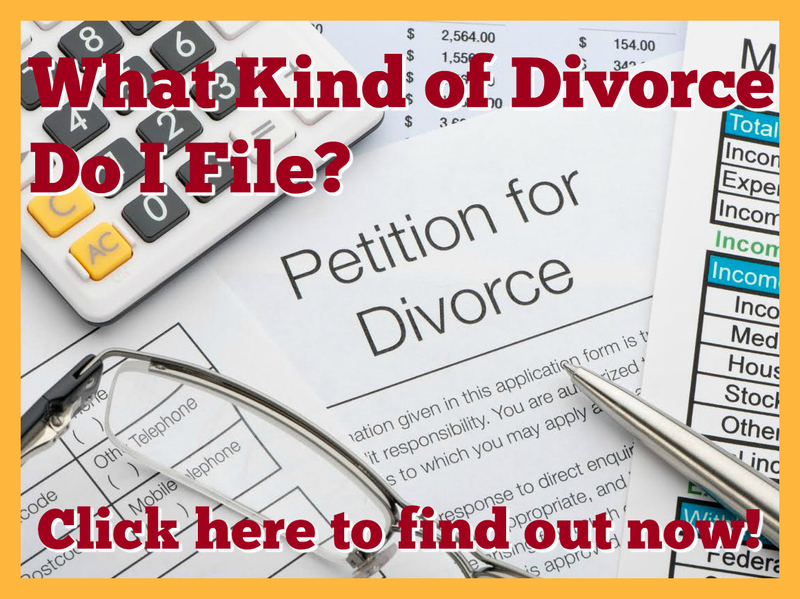 When you’re faced with divorce, the last thing you want to do is try to figure out how to file for divorce on your own. But when you cannot afford legal counsel and you refuse to use unreliable options – you have no other choice. You take your lunch break to rush over to the courthouse and ask for help. You’ve only got an hour, so you run from the parking garage to the courthouse only to spend five minutes trying to figure out where you are supposed to go. A nice elderly man sends you up to the family law division which, you are relieved to hear, has a “self-help” center. You hustle down the hall because you’ve got 45 minutes to get the information you came for, get back to you car, and get back to work. However, when you get to the self-help center, you find a “first come, first, serve” line three people deep. You ask the guy standing in front of you how long he’s been waiting. You realize there is no way you can wait in this line, and make it back to work on time. And you can’t afford to be late because your boss is already annoyed with you for “being so distracted” lately. But how else are you going to appear when your family life is crumbling? As a lady leaves the help counter, you jump out of line to quickly ask how much the forms cost to file for divorce. You’ve done some research so you know you need to file for Dissolution of Marriage with Minor Dependent Children. “He can help you down there,” says the Clerk. So you purchase the forms and run back to your car hoping to make it to the office before your boss notices just how long you’ve been missing. When you get back to your desk you take a moment to check out the forms you just purchased (which by the way, you could have gotten for free, but no one told you that). Most of the information requested on the forms seems straightforward, but there are a lot of words you don’t understand. As you flip through the pages, you notice a lot of options to choose from, but you don’t know the difference between the choices. You’re starting to feel nervous, so you put the paperwork away and get back to work. After your brutal day, you decide to start working through the forms you picked up. Each form comes with basic instructions but for some reason the more instructions you read, the more confused you get. You begin to wonder if you’re in over your head? 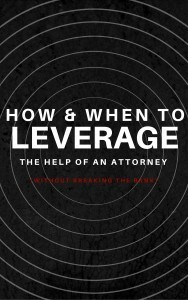 Should you get a loan or borrow money to hire a lawyer? How will you ever do all of this and manage everything else? Isn’t there an easy way to get someone to explain what these forms say and when to use them? In fact, just as easily as you’re reading this right now, you could be getting step-by-step instruction on how to complete each and every form required to successfully file for and obtain a divorce in Florida. All you need is access to Just DivorceTM. Just DivorceTM is a 100% digital resource that offers video, audio, and even written transcripts explaining how to complete Florida’s state approved divorce forms. With Just DivorceTM, you never have to wonder if you’re completing a form correctly, or what to do with it when you’re finished. Whether you’re watching a video tutorial, listening to an audio recording, or reading a text transcript, Just DivorceTM walks you through each form line-by-line, defining terms as you go along and explaining the difference between any options presented to you. 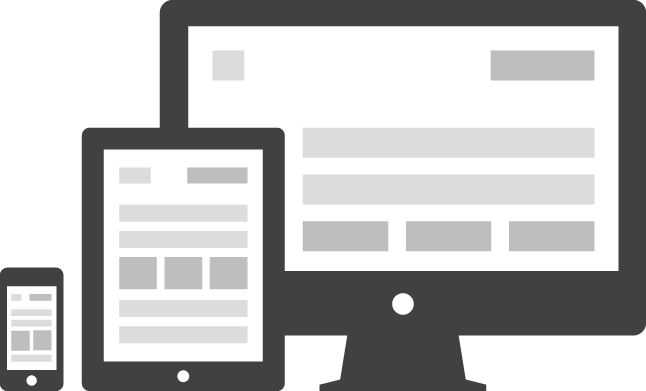 And because Just DivorceTM is 100% digital you can access anywhere, anytime, so long as you have a smartphone, tablet, or computer and Internet connection. This means you never have to wait in “self-help” line or miss work to meet courthouse staff during business hours (which are usually 7:30 am – 4:30 pm), or pay for forms you can get for free (which we show you how to obtain). You also have the benefit of privacy with Just DivorceTM. When you purchase access to Just DivorceTM, you’ll receive a personal username and password that gives you unlimited use of the resources specific to your type of divorce. 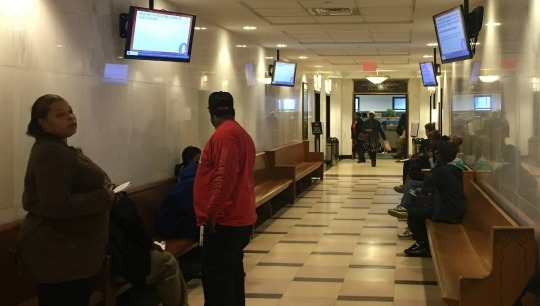 No one has to know you use the program, and you’ll never run the risk having to explain why you’re at the courthouse if you run into someone you know. Most importantly, Just DivorceTM was created by experienced family law professionals. The creators of this resource have been in the trenches with families facing divorce, paternity, dependency, and other family law matters. They hold law degrees and they care about people getting lost in the system, which is why this resource was created. Developed by a Florida licensed attorney and Florida Supreme Court Certified Family Mediator, every instruction provided in the Just DivorceTM program is based on real-life experience and knowledge of Florida’s family law system. You will obtain a totally legal and binding divorce if you follow the instructions we provide to you without mistake. And unlike online divorce paper software, you never have to worry about your forms being rejected by the Clerk because you’ll use State approved forms that you can be confident you’ve completed correctly. But Just DivorceTM doesn’t just show you how to fill out the forms you need to obtain a divorce. 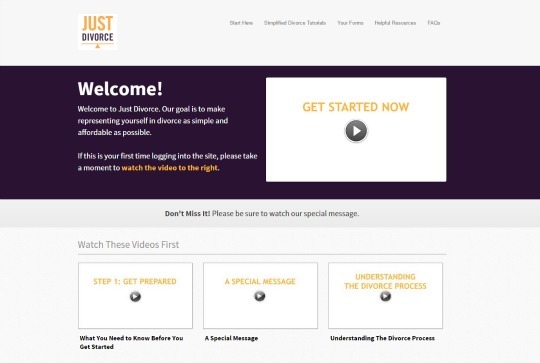 When you purchase access to Just DivorceTM you will also receive insight into how the divorce process works, how to properly serve your spouse divorce papers, how to file your paperwork with the clerk of court, what to expect at a final hearing, and how to leverage the help of an attorney (without breaking the bank). You’ll also get checklists designed to help you stay organized and ensure you don’t miss anything as you work through your forms. And because each county in Florida treats divorces a little differently, you’ll even have access to any special forms or information required by your county so that you don’t encounter any surprises when you submit your paperwork. But don’t gamble with buying this if you’re not sure it will work for you, just watch this video which is a sample of the EXACT format and quality of content you will be able to leverage once you make a purchase. Just click below now to see for yourself. Filing out your forms for a divorce in Florida couldn’t get any more fool-proof. It has also never been more affordable. Depending on the type of divorce you need to file, access to Just DivorceTM ranges from as little as $97 to $197. You and your spouse agree the marriage cannot be saved. You and your spouse DO NOT HAVE minor or dependent child(ren) together, the wife DOES NOT HAVE any minor or dependent children born during the marriage, and the wife IS NOT now pregnant. You and your spouse agree on how you will divide your assets and liabilities. Neither spouse is seeking support (alimony). You and your spouse are both willing to go into the clerk’s office to sign the petition AND attend the final hearing together. You and your spouse HAVE dependent or minor children or the wife IS pregnant, AND You disagree about property, debts, or other matters and wish to have a judge settle them for you. You would like to reserve your rights to have any matters reconsidered or appeal the judge’s decision. You DO NOT have dependent or minor children and the wife is not pregnant. Neither you nor your spouse is seeking spousal support (alimony). You disagree on matters and cannot file for Florida's Simplified Dissolution of Marriage. You and your spouse DO NOT HAVE any dependent or minor children, and the wife is NOT pregnant. The complete packet of fillable or printable divorce forms for your specific type of divorce. Video tutorials that provide line-by-line instruction for completing each form in your divorce packet so that you can follow the video as you effortlessly complete your own form. Audio recordings with line-by-line instruction for completing each form in your divorce packet that you can access when video streaming is unavailable or if you just prefer to listen rather than watch. Text transcripts of the line-by-line instruction for each form in your divorce packet that you can print or read from your preferred device. A video tutorial explaining the entire divorce process including how long you can expect things to take, why you might be required to attend mediation, and what to do if your case ends up going to trial. A video tutorial explaining how to prepare for handling your own divorce so that you stay organized and in control of the process. A video tutorial explaining what it means to “serve” your spouse, and what you need to do to serve them correctly. A video tutorial explaining how to file your documents with the clerk of court and start the divorce process. A video tutorial explaining what to expect at your final hearing and how to prepare for it. Member-only resources and information relating to divorce and family law. A Member-only FAQ page that answers specific member-generated questions about divorce. 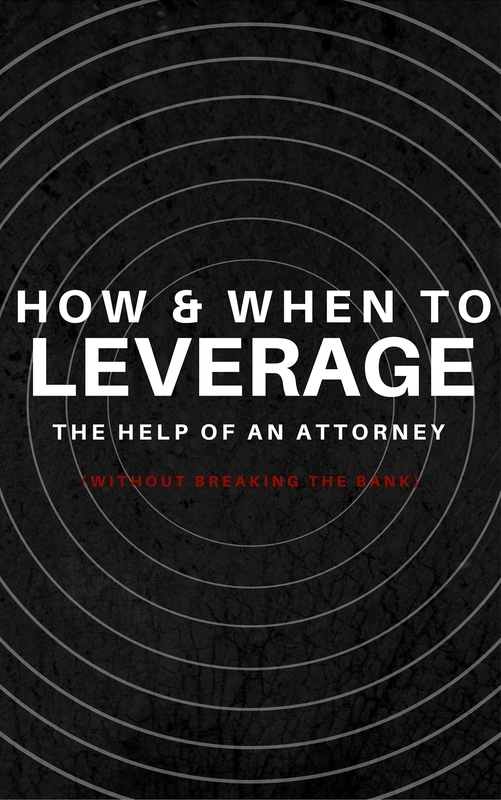 Our ebook (pictured left): How to Leverage the Help of Attorney (without breaking the bank) – You’ll get insider secrets most attorneys won’t share. To get this kind of assistance from a courthouse attorney would cost you a minimum of $500, and you can expect to pay 3X that amount for the help of a private lawyer. You could go to a paralegal or document preparer, but they won’t assist you in completing the forms or explain what things mean. You’ll have to provide them with the required information and they’ll complete the forms for you. Bottomline…there isn’t a resource out there with this quality of assistance at this price. Not to mention, we’ve already shown you what you can expect to receive so there is no bait and switch here. You already know what you’re buying. Simply select the appropriate type of divorce for your situation using the buttons above or below, and you will be transferred to our checkout page where you must complete an acknowledgement form and make your purchase. Within minutes of your purchase you will receive an e-mail that contains your username and password which grants you instant access to the members-only content and all of bonus material outlined above. Keep in mind, however, if you and your spouse end up having to take your case to trial, these materials will not help you. Nothing in this resource shows you how to represent yourself in the courtroom or before a Judge. 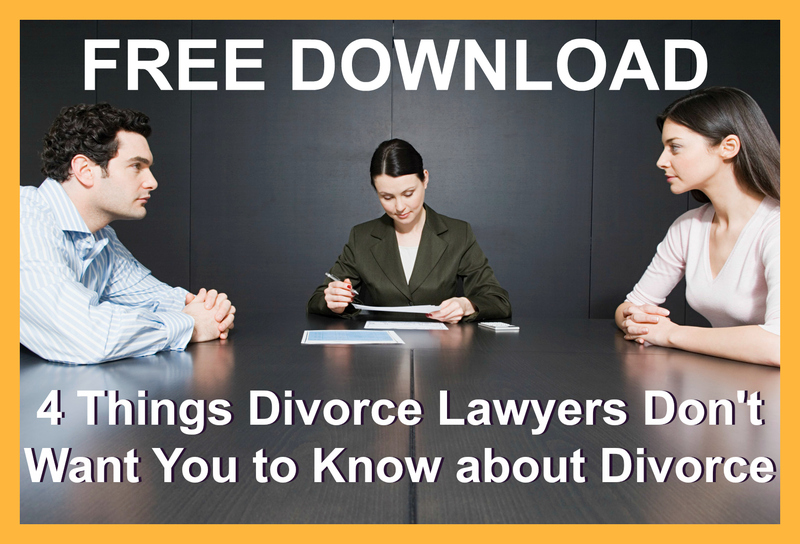 The materials provided in this resource are for people who hope to settle their divorce by agreement – even if that doesn’t seem possible at this moment. Click on the type of divorce you need to file below and get started with Florida’s only D.I.Y Divorce resource today. Not sure which type of divorce to file, click here. Still have questions? Click here to read our FAQ now.